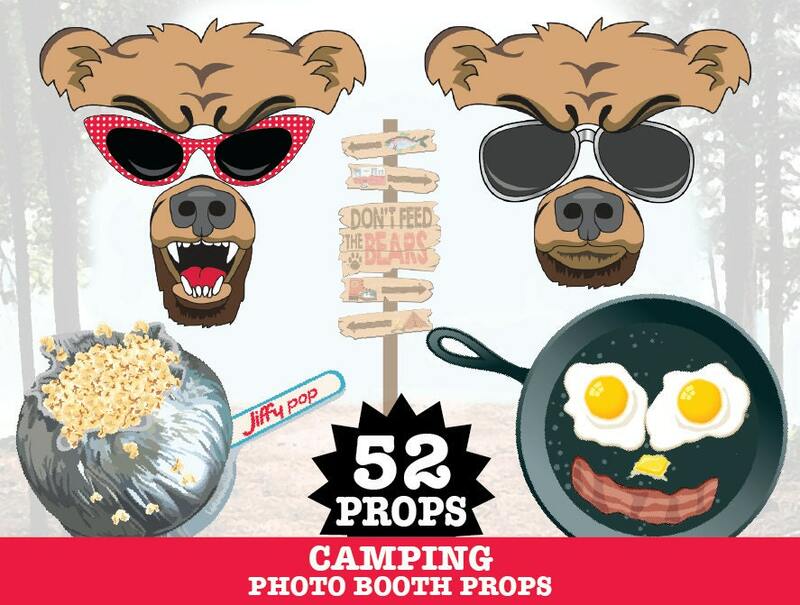 (¸.·´This Camping Photo Booth Prop kit consists of 52 DIY printable props which includes: Aviator Trapper Hat ★ Fishing Hat ★ Beanie ★ Ranger Hat ★ Bandana ★ Frying Pan (with bacon & eggs) ★ Hot Dogs on a Fork ★ Marshmallows on a Stick ★ Pancakes on a Plate ★ S’more with a Bite ★ Retro Inspired Jiffy Pop ★ Retro Inspired Polaroid Camera ★ Retro Inspired Transistor Radio ★ Retro Inspired Water Jug ★ Retro Inspired Thermos ★ Retro Inspired Lantern ★ Coffee Pot (blue speckled) ★ Cup (blue speckled) ★ Cooler ★ Fishing Pole with Fish ★ Binoculars ★ Flashlight ★ Map ★ Bug Off - Bug Spray ★ Compass ★ Bear Ears ★ Bear Closed Mouth ★ Bear Growling Mouth ★ Egg “Eyes” ★ Bacon “Smile” ★ 4 Sunglasses ★ 3 Lips ★ Screaming Mouth ★ Beard with Screaming Mouth ★ Beard ★ 3 Mustaches ★ Sign - “Don’t Feed The Bears” ★ Sign - “Grab A Prop...” ★ Sign - Camper ★ Sign - Tent ★ Sign - Hiking Boot ★ Sign - Fish ★ Polaroid Frame (2) - EDITABLE ★ Editable Jr. Range Badges ★ Instructions, Plus Information for materials need & paper suggestions. 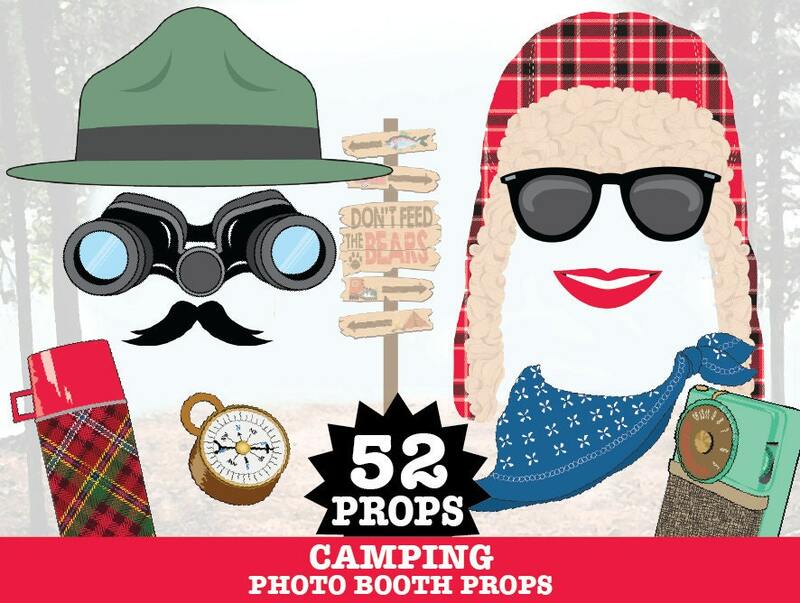 Your Camping event will be in-tents fun… when you add these playful retro Camping props! 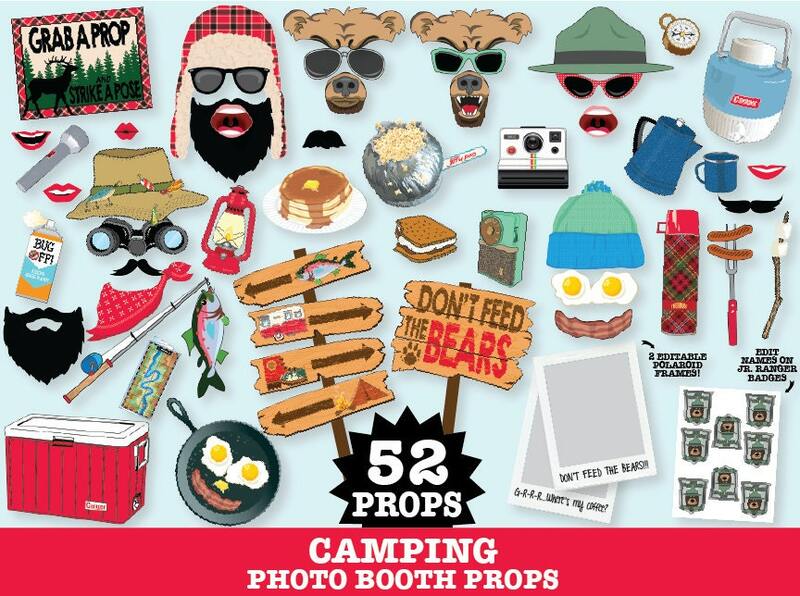 Whether you’re camping, having a camping or glam camp party or just getting together with friends & family… you’ll be sure to make s’more happy camper memories with these enjoyable Camping props! 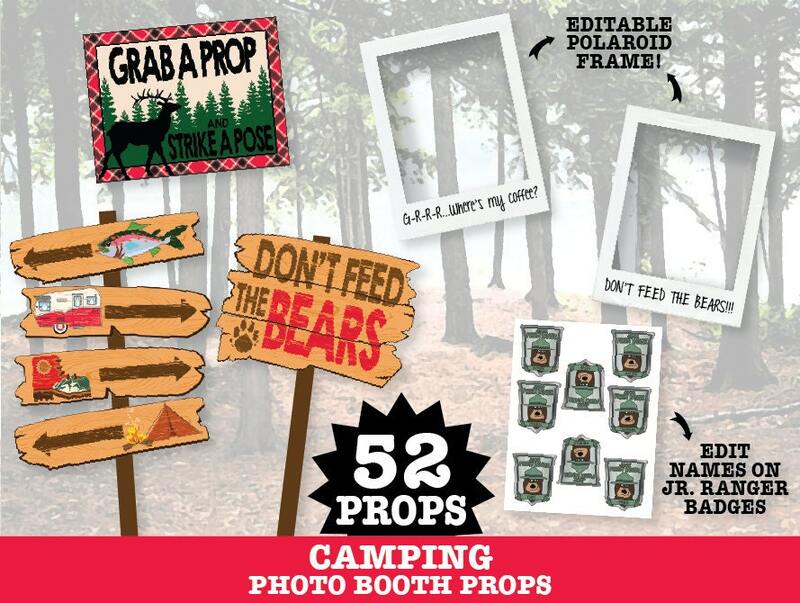 Because what happens around the campfire, stays around the campfire… especially with you add these terrific Camping Photo Props! These were awesome... so detailed. Love them! 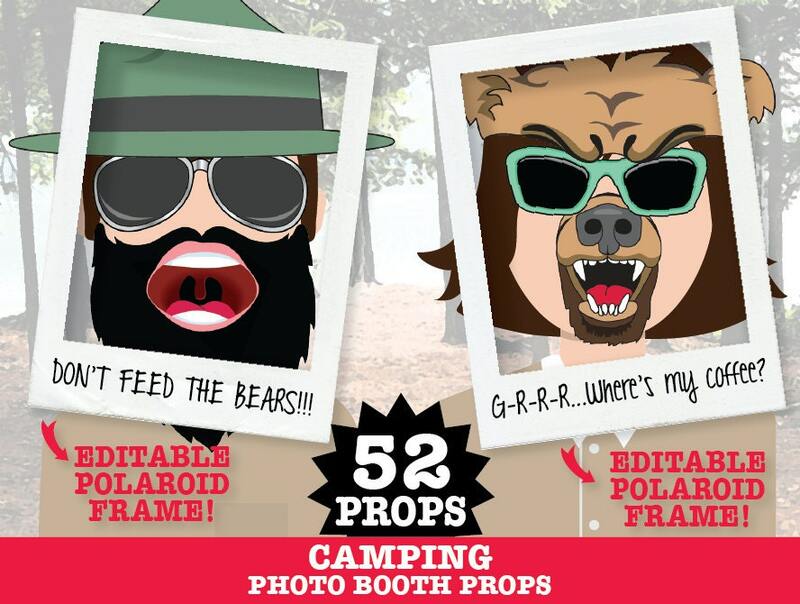 Perfect for our Camping themed photo booth!